Eric Fosler-Lussier is a Professor of Computer Science and Engineering, with a courtesy appointment in Linguistics, at The Ohio State University. After receiving a B.A.S. (Computer and Cognitive Science) and B.A. (Linguistics) from the University of Pennsylvania in 1993, he received his Ph.D. in 1999 from the University of California, Berkeley, performing his dissertation research at the International Computer Science Institute under the tutelage of Prof. Nelson Morgan. He has also been a Member of Technical Staff at Bell Labs, Lucent Technologies, and a Visiting Researcher at Columbia University. In 2006, Prof. Fosler-Lussier was awarded an NSF CAREER award, and in 2010 was presented with a Lumley Research Award by the Ohio State College of Engineering. He is also the recipient (with co-author Jeremy Morris) of the 2010 IEEE Signal Processing Society Best Paper Award. In 2011, the Department of Computer Science & Engineering presented him with the Departmental Teaching Award. He has published over 90 papers in speech and language processing, is a member of the Association for Computational Linguistics, the International Speech Communication Association, and a senior member of the IEEE. 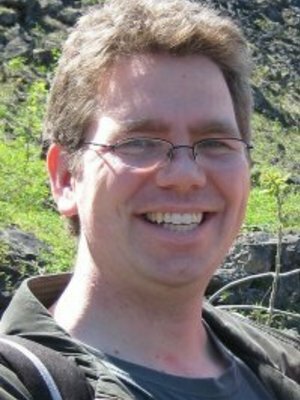 Fosler-Lussier serves on the IEEE Speech and Language Technical Committee (2006-2008, 2010-2013), as well as on the editorial boards of the ACM Transactions on Speech and Language Processing and the Journal of Experimental Linguistics, and was co-Program Chair for NAACL 2012. He is generally interested in integrating linguistic insights as priors in statistical learning systems.